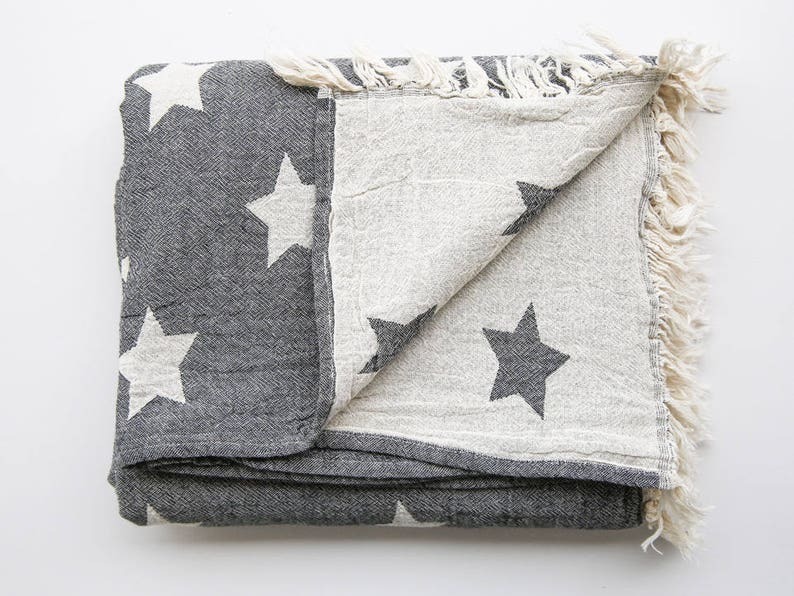 Gorgeous Stars patterned reversible blanket. Made from dobby-weave pure cotton fabric this blanket is two-sided - one side is white stars on the black background and another side is black stars on the white background. 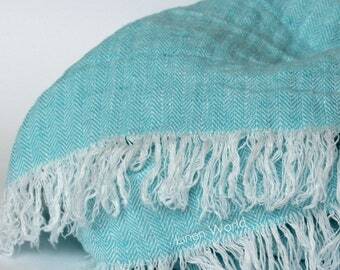 The smaller blanket is decorated with fringes and can be used as throw blanket / picnic blanket / couch or sofa throw / beaach blanket and other ways. 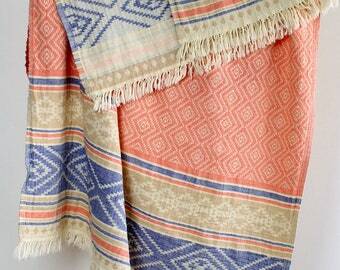 The blankets of a large size have no fringes and can be used as bedspreads / bed covers - or summer blankets. 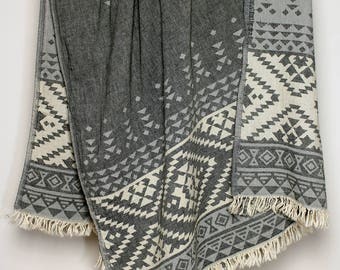 The blankets are super soft - pleasant to touch and very comfortable - you wil definitely fall in love with them! Easy to care - machine wash and tuble dry! Enjoy! Please, contact me for more details! Super fast shipping! Great quality for a great price! 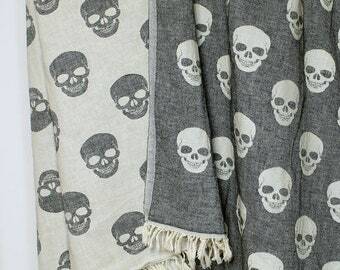 Lovely blanket. Beautiful material and very nicely made. Shipped very quickly from Lithuania to the US. ▸PLEASE UPGRADE YOUR SHIPPING IN ORDER TO RECEIVE YOUR ORDER IN 2-5 BUSINESS DAYS! ▷ Expedited Shipping is provided by UPS and DHL (signature required). ▸PLEASE NOTE THE PROCESSING TIME OF THE ITEMS - THE TIME WE NEED TO MAKE AN ITEM AND PREPARE YOUR ORDER (MOST OF THE ITEMS ARE MADE TO ORDER). THE ITEMS WILL BE SHIPPED BY THE TIME STATED IN INDIVIDUAL LISTINGS AND YOUR PURCHASES SECTION. Colors you see on your monitor may differ from item colors. It depends on yours and mine monitors color profiles difference, so I cannot give you a guarantee that your monitor/screen display the colors exact as they are. ▸We ship from both Lithuania and Turkey. Please check the description of every item. ▸ Please understand that we can not control Postal Services. ▸ Note that there can be delays at busy holiday seasons like Christmas or Public holidays, or due to any other heavy postal traffic, so it's better to place order in advance. ▸ We are not responsible for the loss, damage and/or delay caused by the Postal Services, also we're not responsible if buyer is not acting on time to any delivery notices left by the local Postal Services. In case of loss, damage or delay, buyer must deal directly with their local services by using the Tracking Number provided after the shipping. Buyers are responsible for all the shipping costs. Both, shipping costs and return shipping costs are covered by the buyer. After items are returned to the shop, only the cost of the items will be refunded to a buyer - SHIPPING COSTS ARE NOT REFUNDABLE. The items should be in the same condition as received, unused and unworn. If the item is not returned in its original condition, the buyer is responsible for any loss in value. Custom items, bedding and the clothes are not refundable. Your order will be shipped by the date stated in your purchases section. You can also see all the processing times in the description of every listing before placing an order. Don't forget that most of the items are made to order and due to the high season the processing times can take up to 2 weeks.